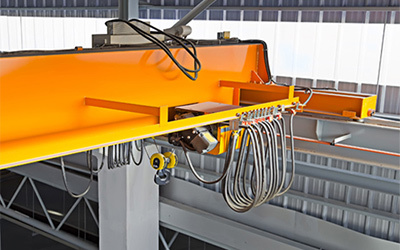 We are top leading manufacturer and supplier of EOT Cranes in India. 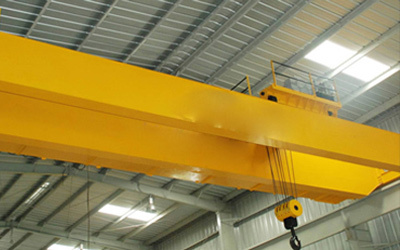 We are offering a qualitative range of Crane to the large numbers of customers. Our high range of EOT Crane is available in different designs, capacities and other specifications to cater to varied clients' requirements. We are the most reliable and economical sources for qualitative products and thus we have been a well known name for offering wide range of products. We provide a high tensile of Electric EOT Crane which is produced by using premium quality of raw materials which are procured from quality driven industries. Owing to their high strength, damage resistance, and optimum quality, these products are widely demanded in the market. Being trusted manufacturer of EOT cranes supplier, we provide best promising and suitable customize solution according to your working spaces and also close to your drawing. Lifting component of the crane is called hoist. Our system is available with the great capacity of 600 tons. Diverse gears made these cranes most versatile equipment for handling the goods with safe and sound manner. Span up to 30 mtr. Long travel speed up to 15 mtr/min.